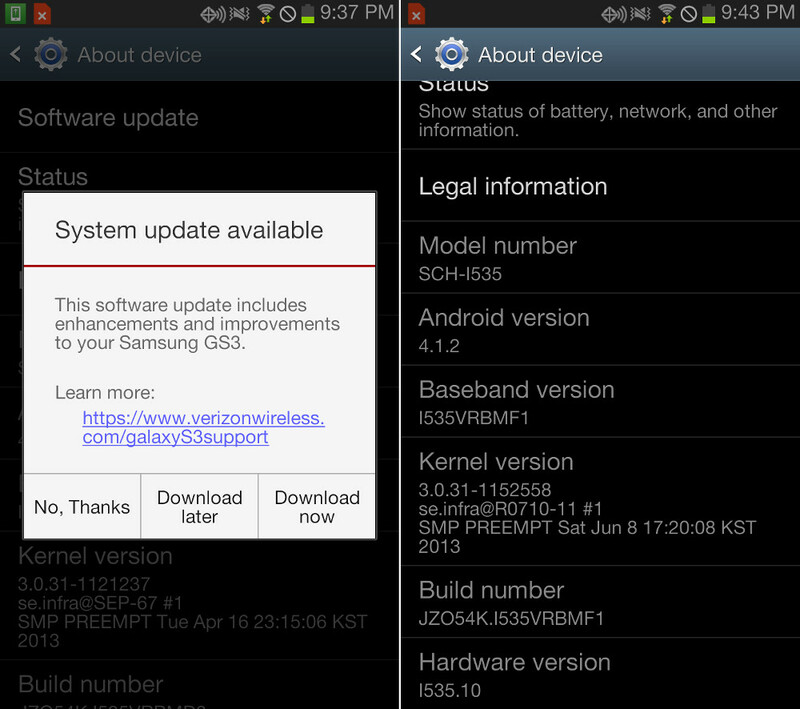 This evening, Verizon began pushing out a new update for the Samsung Galaxy S3 as build VRBMF1. After pulling the previous update (build VRBMD3) because it caused severe connectivity issues, we would imagine that this new update will help return the device to normal. Verizon and Samsung were supposedly working on a fix – hopefully this is it. We have yet to find support documents that detail changes, however, the update was small enough that it likely is a bug fixer. To pull the update, head into Settings>About phone>Software update. It should be live for everyone. Afterwards, be sure to let us know if your LTE connection returns or stabilizes.